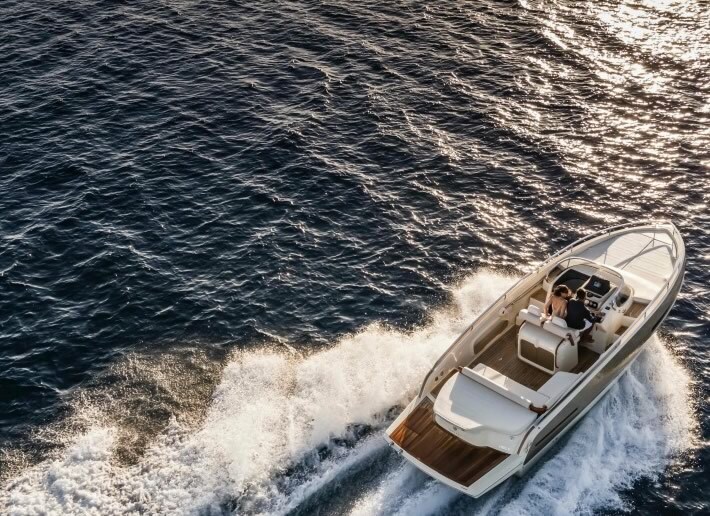 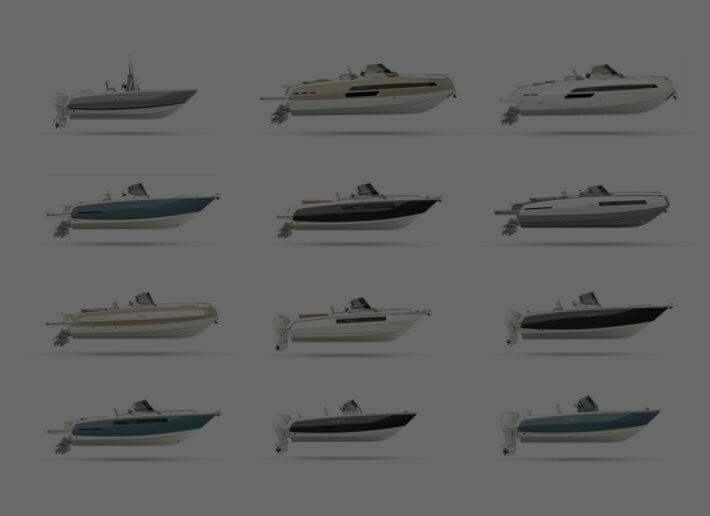 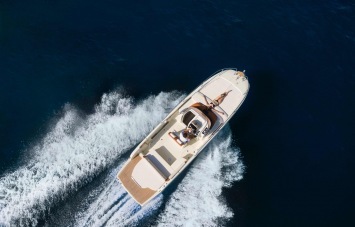 Progenitor of the new “CX” series, the 280CX surprises for its features and for the real profusion of spaces dedicated to enjoy the sea. 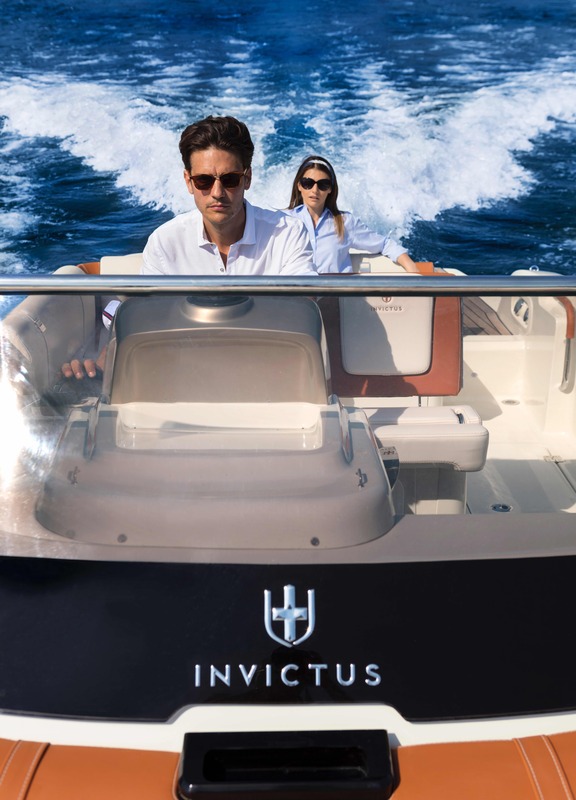 The stern is dominated by the large sundeck – now more expandable – and by the rear platform that, far from appearing as an appendix, formally merges with the hull giving it an even more slender profile. The aft sofa is grafted onto the seat of the L-shaped seating with a central table. 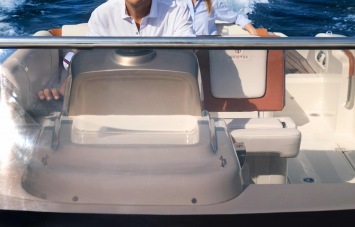 The heart of the “living” develops amidships, with the driver’s seat “stand up” which can be easily transformed to complete the dinette area, creating a real “seating” around the table, dedicated to those who love their boat as a convivial place. 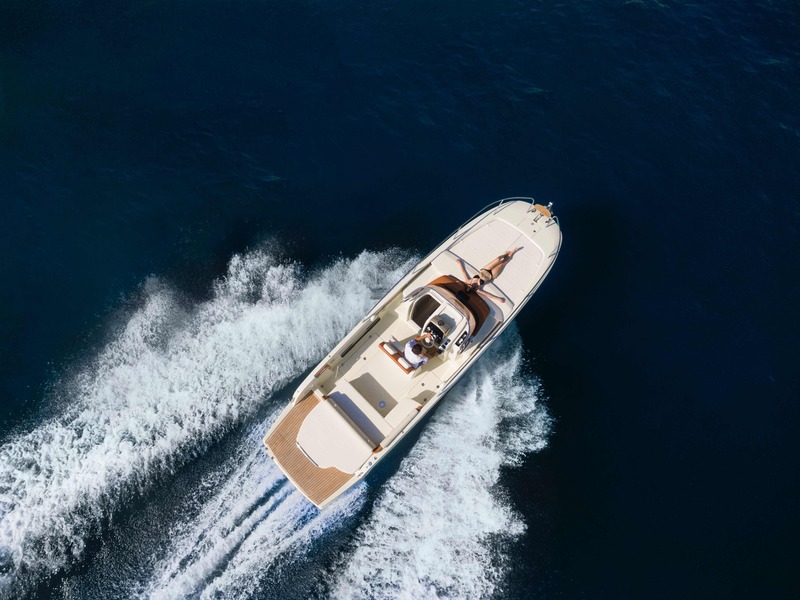 There is also protection from the sun during the hottest hours, thanks to the retractable canopy which, housed in the bow, extends over the entire living area. The central volume, chiseled and perfectly finished, acts as a base for the piloting area and for the instruments and hosts the entrance to the cabin, the latter equipped with a passageway and a wide sofa convertible into a bed. 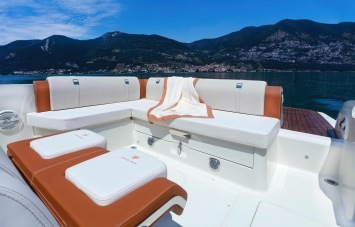 The variety of equipment in the cabin, expresses the “leisure” vocation, and also includes a movable bar and refrigerator and a separate bathroom of unusual height, thanks to the placement in the highest part of the central volume.